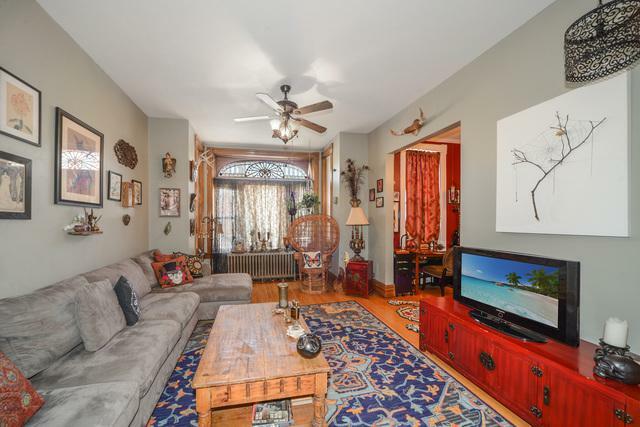 Bucktown Logan but built like a Wicker Park mansion! Wide building on wide 36' lot. Big back yard. Vintage vintage. 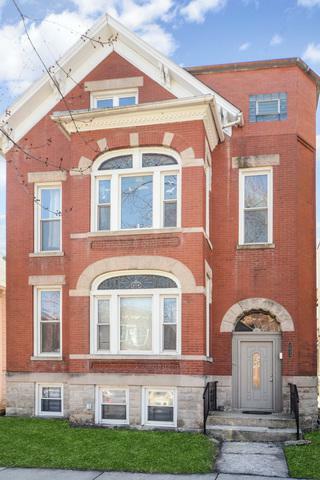 First floor served as owner's unit with fancy radiators plus heated kitchen and bath floors! - quiet, clean, warm, even heat - not blowing dust and dry air around. In-unit, front-load washer-dryer. Beautiful maple hardwood floors, plaster cove moldings, high ceilings, over-sized built-in hutch plus a second built-in. 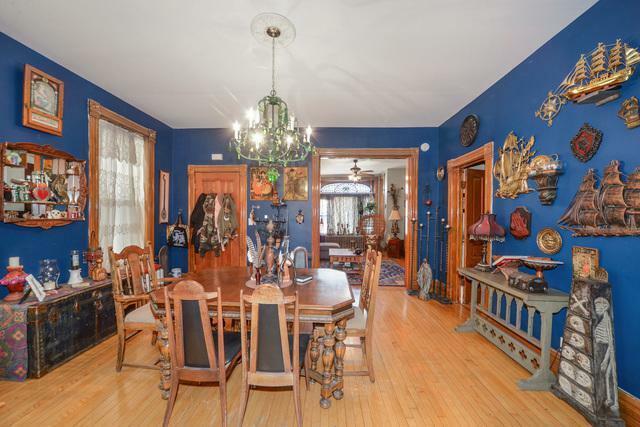 Huge stained glass windows, loads of vintage trim. Newer kitchen and bath. Stainless chef-series appliances. Second and third floor easily duplexable to make a new owner's unit. Full, unfinished basement. Three blocks to L, few blocks to Kennedy. 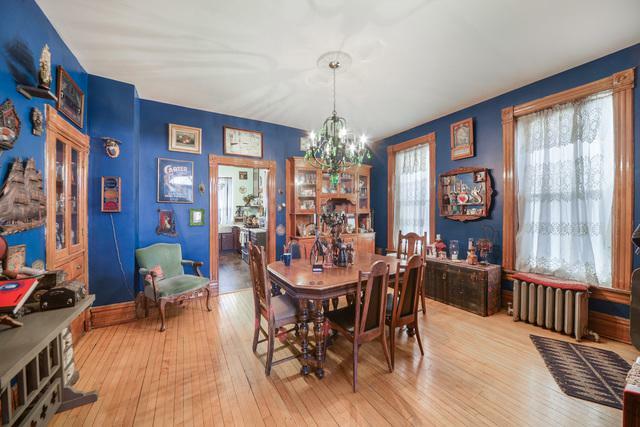 Few blocks to all that Bucktown and Logan have to offer!